To my mind, the theme of this documentary-film we are undertaking is that places have qualities, and perhaps special places have special qualities. For example, in India all peninsulas are considered sacred space. They are revered. Michigan consists of two peninsulas surrounded by 21% of all the fresh water in the world and 84% of all the fresh water in North America, plus Michigan's entire Lower Peninsula sits on the largest known salt deposit on Earth, 30,000 trillion tons of salt. I went on Google Earth and slowly zoomed in on North America and the hand or mitten-shaped peninsula of Michigan (surrounded by all that fresh water) stands out like a beacon. It is immediately obvious. Among other things, these unique attributes are part of what makes Michigan special. But what are their effects? I am sure that all places, like fingerprints, are unique, yet the attributes of some places dovetail or re-enforce one another to make them "special." They somehow resonate at creative frequencies. In my experience (and it may just be me), Michigan is special in this way. 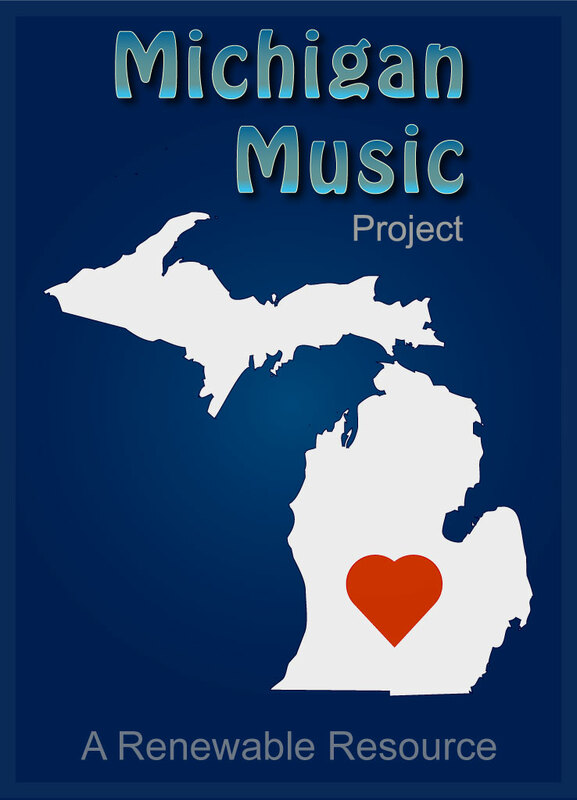 I believe that one of Michigan's qualities is that it is a music 'sanctuary', a place on Earth where music just naturally arises and thrives. Folklorist Alan Lomax wrote long after he had extensively recorded Michigan folk music that Michigan is "the most fertile source" of American folklore that he had ever encountered, and he had been all over. That is a strong statement coming from America's premiere folklorist. So there you have the idea. This film that my son Michael and I are working on is about Michigan and some of its musical magic, not only music "way back then," but music right now, today. My experience informs me that Michigan is somehow a matrix or womb from which music (perhaps among other things) arises and enters this world. And although it comes through people, individual musicians, it is a creative wellspring that just keeps on flowing, a renewable resource. That is the approach I am taking, at least at this point in the project.